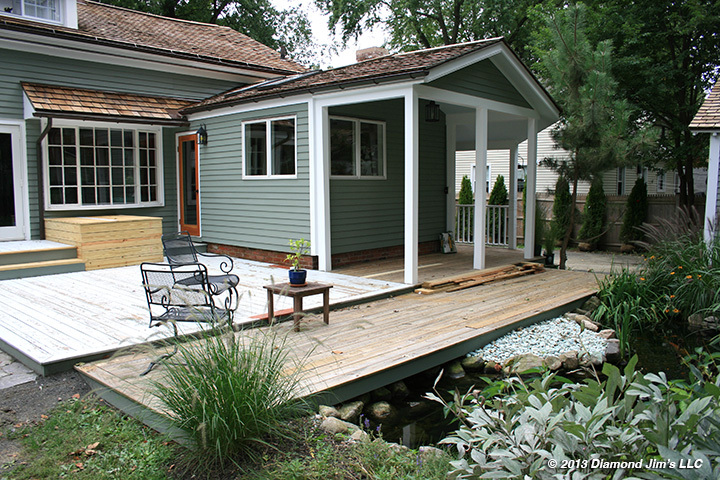 Here is a deck on a historic house built in 1761. This is how we saw it on the day we quoted it in early September. You can see a pressure treated deck that has white paint on it. There is also a section of pressure treated deck next to the koi pond that has no finish and finally the cedar decking under the overhang which has a stain that needs to be removed. Because the deck is so close to the fish, extreme care needs to be taken.